Understanding habitats is an important part of wildlife watching. Whether you’re targeting a particular species or looking to find as much wildlife as you can on a trip to a particular location, knowledge about the various habitats you’re likely to encounter, and the species they support, is a key part of a successful wildlife watching expedition. “Britain’s Habitats — A Guide to the Wildlife Habitats of Britain and Ireland” by Sophie Lake, Durwyn Liley, Robert Still and Andy Swash is a comprehensive guide covering the various habitat types found in Britain and Ireland. It’s published by Princeton University Press, and is part of their WildGuides series (which includes a range of field guides like the excellent Britain’s Dragonflies and Britain’s Day Flying Moths we’ve reviewed previously). 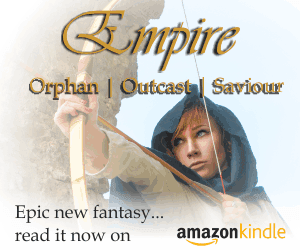 First things first — let’s deal with the elephant in the room: the title! Calling a book “Britain’s Habitats” when it deals with Britain and Ireland is… well let’s just say it’s irksome (although I suspect many Irish readers would use stronger language). The same applies to other books in the series. Newsflash: Ireland isn’t part of Britain, and while there is almost universal overlap in habitat types between the two islands, the main title is simply wrong… and you need look no further than the subtitle to understand why. That faux pas aside, what about the book itself? This is a beautifully produced hardback volume that covers all of the main habitat types found across the islands of Britain and Ireland. Illustrated throughout with more than 680 colour photographs it is a visual feast, but the photographs also serve a practical purpose, illustrating important habitat features referenced in the text and some of the key species to look out for. The book is sensibly laid out, with a useful introduction to habitats, the various habitat types found in Britain and Ireland and the factors that influence them. It includes maps, tables, charts and timelines to help you understand the factors that have shaped and modified our habitats over the millennia. Then we get in to the habitat accounts themselves. There’s a broad overview of an “umbrella” habitat type (woodland, for example) before diving into the detail on individual habitats (yew woodland, beech woodland, Atlantic oak woodland, etc.). For each habitat the guide gives us a general introduction, highlights similar or overlapping habitats, looks at the habitat’s origins and development, its conservation, distribution (including a handy field-guide-esque distribution map), information on how to recognise it, when best to visit and what to look for when you do. The book concludes with a useful cross-reference table making it easy to map the habitat types mentioned in the text to official habitat classifications used in Britain and Ireland. This is a bit too big and bulky to be considered a true field guide… although in essence it “works” in much the same way. It’s designed more as a reference guide to use at home (or in the office, depending on what you do). The authors, they’ve done a fabulous job of organising complex habitat information into a clear, easy to digest format that delivers plenty of details, without straying into overly academic territory (an easy line to cross when you’re talking habitats). They offer a good balance of information that’s particularly well suited to the wildlife enthusiast, birder or anyone who loves the great outdoors and would like a better understanding of how it all fits together. 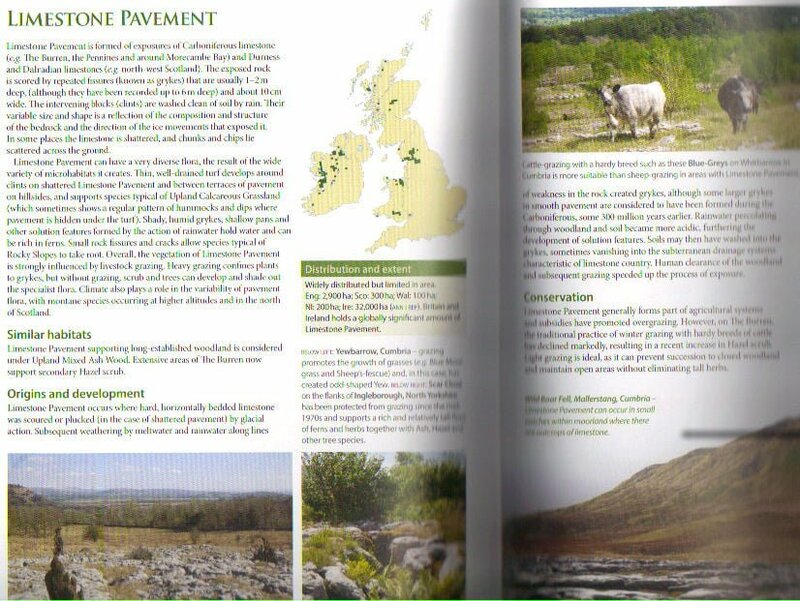 A page from the book dealing with Limestone Pavements showing the extensive use of images and maps. When you’re looking for wildlife a baseline knowledge of different habitats is invaluable. It helps you know what wildlife to expect when exploring a new area, and gives you a steer on the best places to look for specific types of wildlife. This book delivers that knowledge in spades, and is a reference you’ll return to frequently. More than that though, thanks to its thoughtful presentation, extensive use of images and well-balanced text, it’s a book you’ll be happy to leaf through any time. All of the WildGuides series I’ve seen to date have been excellent… and this is certainly no exception. If you’d like to pick up your own copy of “Britain’s Habitats” you’ll find it on Amazon UK (left) or Amazon.com (right), or from other natural history book stockists.